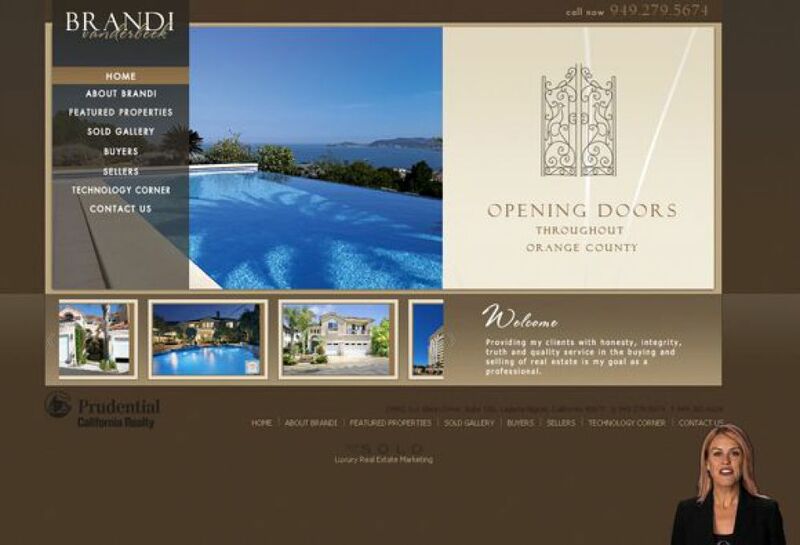 Brandi Vandeerbeek is a dedicated and licensed real estate broker working in the Orange County. Brandi\'s unique communication and negotiation skills have earned her respect in the brokerage community. Brandi\'s website features video and slideshow integration. The navigation bar also utilizes a brown cursor with a matching background. Every element on the website complements one another.